2 to 5 years There are 5 products. 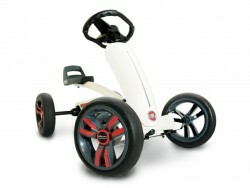 We offer sturdy and safe pedal go karts that have been designed for use by children 2 to 5 years of age, in both the home, visitor attractions and holiday resorts. 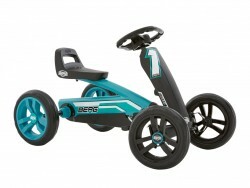 Recommended for children aged 2 - 5 For younger children we are happy to bring you the Buzzy range of karts and in particular this very sporty and super cool BERG Buzzy Nitro. 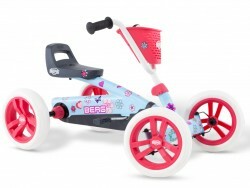 Recommended for children aged 2 - 5 For younger children we are happy to bring you the Buzzy range of karts and in particular this very fashionable and popular BERG Buzzy Bloom. Recommended for children aged 2 - 5 Well here a treat for everyone who loves Fiat. This specially designed and Fiat approved BERG Buzzy Fiat 500 is an icon go kart. 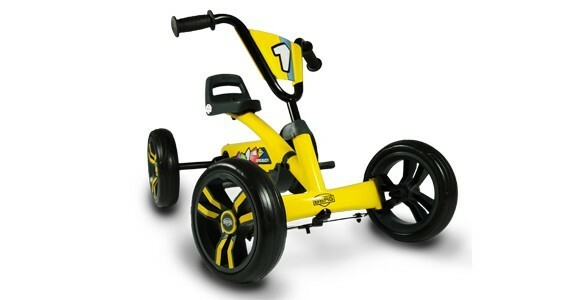 Recommended for children aged 2 - 5 For younger children we are happy to bring you the Buzzy range of karts and in particular this very sporty and cool looking BERG Buzzy Racing. 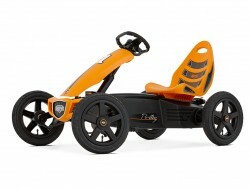 Recommended for children aged 4 - 12 The BERG Rally Orange go kart is a light and compact model allowing you to discover anywhere and everywhere. This popular children's go kart not only comes with pneumatic tyres, Race style steering wheel, but also has a cool paint job along with a nice front spoiler.